The blockchain gospel is evolving thanks to the huge noise surrounding cryptocurrencies. The technology started as a mere platform to underpin crypto assets but because of the robust security, trustworthiness, and simplicity of operation, it has crossed over to other technologies. Blockchain developments are now afoot in the financial, educational, agricultural, marketing fields, as well as many others. It’s a globally distributed record system where anyone can view or add items. Once a transaction has been written on this ledger, it cannot be edited or deleted. This makes it a very important tool for truth especially when dealing with peer-to-peer transactions. The unalterable nature of the blockchain is derived from the cryptographic hash functions written on it and the raw computing power used. This is not to be underestimated. For one to bend the blockchain to his or her whims, a very powerful computer equal to 500 supercomputers will be needed. This is an impossible milestone to achieve. The next best alternative would be to take control of a large number of the nodes on the network-the so-called “51% attack” in order to mutate the chain. Fintech managers and industrial individuals are not the only ones who are thrilled by this distributed technology. Data scientists too are fascinated by it. There is a growing need to explore what blockchains can do before more responsibilities can be shelved on them. IBM and Microsoft are merely examples of the top companies who are experimenting with blockchain. Blockchain is not only transparent but it’s generous as well. As a member of the network, anyone can view the records and use them for data analysis in their own fields. The current centralized systems protect their data too much and sometimes you have to wade through tough hurdles just to get permission. Not only can scientists read data on the blockchain but they can build applications on it as well. Ethereum is an example of a blockchain that allows its community to build authorized and compatible dapps (decentralized apps on it). UCLA Health, Anthem, and many other organizations out there have lost many patent records to tech-savvy hackers. This usually exposes their clients to all manner of identity theft issues committed by impersonators. Thanks to the advanced cryptographic hashes, blockchain has been made impervious to hacks. File records and other data packets can be safely shared between various computers with zero chances of an outsider intercepting. All of this happens without an organization stretching its resources. Data storage has improved to a great extent, but only small firms and individuals are the ones smiling. Multinational companies with voluminous transactions are still looking for affordable solutions. Cloud storage providers do charge a lot and sometimes you have to deal with storing information in different locations. Blockchain makes data storage and sharing more economical since everything can be accessed by all managing parties from one place. Real-time crime remains to be a jigsaw puzzle for many institutions. The blockchain keeps a record of every transaction and this can help investigators scan for patterns in real-time. There are already companies in existence that use real-time analytics to analyze pseudonymous data. While this raises the question of customer privacy, some people argue that there are still ways that can be taken care of. P2P is one of the tenets of the blockchain. Through this, many people can avoid dealing with middlemen and speak/transact directly with their clients. This also allows anyone to monetize their data and analytics. For instance, if an external agency needs to access certain records on a company’s consumption of a certain product, the owner can decide to ask for a little compensation before giving the agency a go-ahead. IOTA is another interesting asset that could really change the world for the better. Instead of using ubiquitous blockchain, the network uses a slightly similar version called the Tangle distributed ledger. Tangle is made up of DAG (Directed Acyclic Graphs) technology which makes devices interact autonomously. The fact that devices can connect effortlessly makes IOTA an object of interest to data scientists. Its applications could lead to the production of self-driving cars and drones. The devices on the network can easily communicate with its peers and relay data. There is a lot of data being processed on the blockchain by various organizations. As the technology reaches more people, there is going to be a huge need for data scientists who can help to manage all those data-sets. 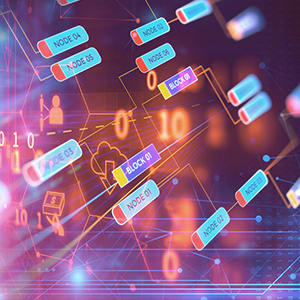 When combined with artificial intelligence and data science, blockchain can be a very effective tool in not only managing but also automating processes. Like every invention, there are some issues that distributed ledgers have to work on. For instance, a blockchain like that of Bitcoin is known to consume a lot of power. If such setbacks are solved, many companies and software programs will interoperate smoothly with decentralized ledgers. Data science and blockchain may appear as disparate but they are related to some extent. 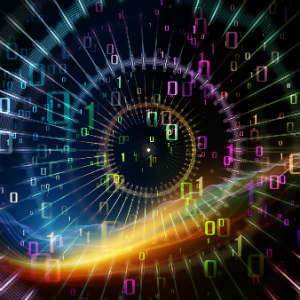 When amalgamated, these two technologies can change the way organizations function by speeding up data processing and management without the need to expand the employees’ list. As said before, there are a couple of successful outcomes from the pilot phases though nothing has been published yet. Nevertheless, let’s hope the interaction between these two technologies breeds something as useful as the internet. Catalin Zorzini is the founder of Ecommerce Platforms and Unblock. He's a design enthusiast and loves matcha, and is uber passionate about Bitcoin and blockchain technology.